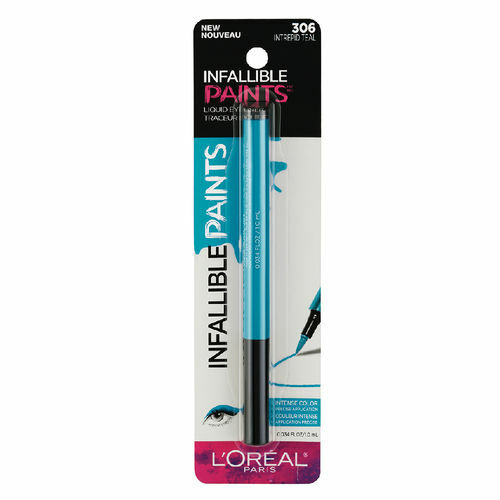 Paint it loud with new and trendy L'Oreal Paris Infallible Paints Eyeliners. These liquid liners glide on smoothly and easily with 0.1mm precise felt tip. Define and design eyes with total control using one or multiple colors. Experience high impact color and all day wear! Felt tip delivers precise application. Explore the entire range of Eyeliner available on Nykaa. Shop more L'Oreal Paris products here.You can browse through the complete world of L'Oreal Paris Eyeliner .Alternatively, you can also find many more products from the L'Oreal Paris Infallible Paints Eyeliner range.